North Korea launched a medium-range missile over the weekend. 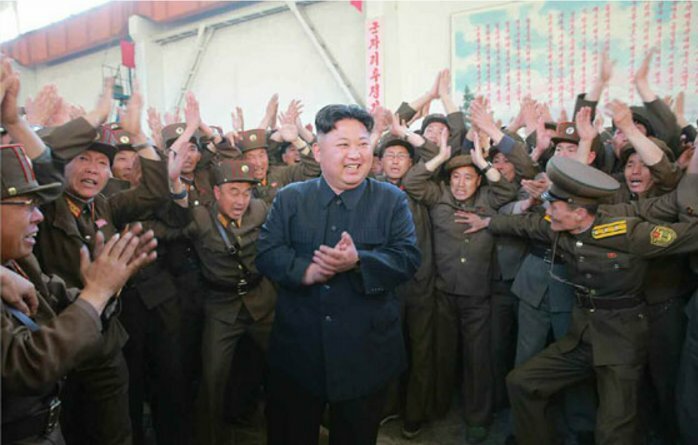 The North Korean regime released photos of Kim Jong Un and his generals celebrating after the launch. The communist regime announced Monday the Hwasong-12 missile is capable of carrying a nuclear warhead. North Korea said Monday that the medium-range strategic missile it tested over the weekend is capable of carrying a nuclear warhead. North Korean propaganda must be considered with wariness, but if confirmed, the claim marks another big step forward in the country’s escalating efforts to field a nuclear-tipped missile capable of reaching the U.S. mainland. Outside experts don’t believe the North can do that yet, but each new test pushes them closer to the goal. The Rodong News Agency released photos of the weekend launch.